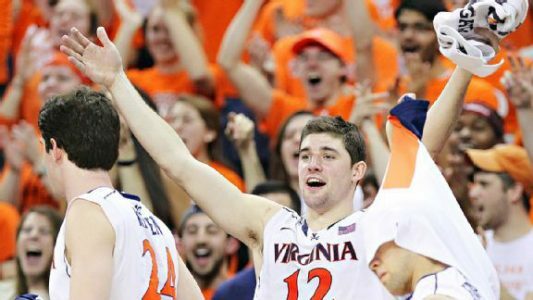 Play On: Virginia Cavaliers -7.5. I’m recommending a play on Virginia minus the points on Saturday. We backed Miami last time out and they came through for us. We have been involved with Hurricane games a couple of times this season and that was the first time we sided with them. Miami cashed for us, blowing the Charleston Cougars off the floor. But those who follow my work know where I’m headed in this one. I have posted since day one this season that Miami can’t handle teams that play well in the paint. The Canes have very little in the lane and those teams take full advantage. Charleston, like Miami had nothing inside and Miami’s backcourt was much more talented than the opponent. Enter undefeated Virginia. The Cavaliers own a strong guard rotation, but they also own a capable front-line, led by Anthony Gill, Mike Tobey, and Darion Atkins. The three all have their role on this red-hot Virginia squad and will go unmatched for the most part in the head-to-head meeting with Jim Larranaga’s squad. The Cavalier guards are also a very difficult matchup with Justin Anderson & Malcolm Brogdon combining for more than 28 ppg. Four players average between 7.2 rpg & 4.8 rpg, and Anderson, Brogdon, and London Perrantes have combined to dish out 102 assists on the season, while committing just 50 turnovers. This is a loaded team at both ends of the floor and I believe they’ll prove to be too much for the hamstrung Miami Hurricanes. I’m recommending a play on Virginia minus the points on Saturday. Thanks & GL! Scott Spreitzer. Scott Spreitzer has owned the books with NFL SMACKDOWNS, going 24-6, 80% in the reg season since bringing them to the web! He’s also 3-0, 100% with NFL PLAYOFF SMACKDOWNS! His wildcard version goes on Saturday. Grab it here as Scott looks to extend the playoff record to 4-0, 100%!